Take your KEY body measurements positioning a tailor style tape measure (soft tape) as indicated on the images below, EXACTLY where the dashed lines are. Measurements must be taken in Decimal units of Centimetres (cm.). 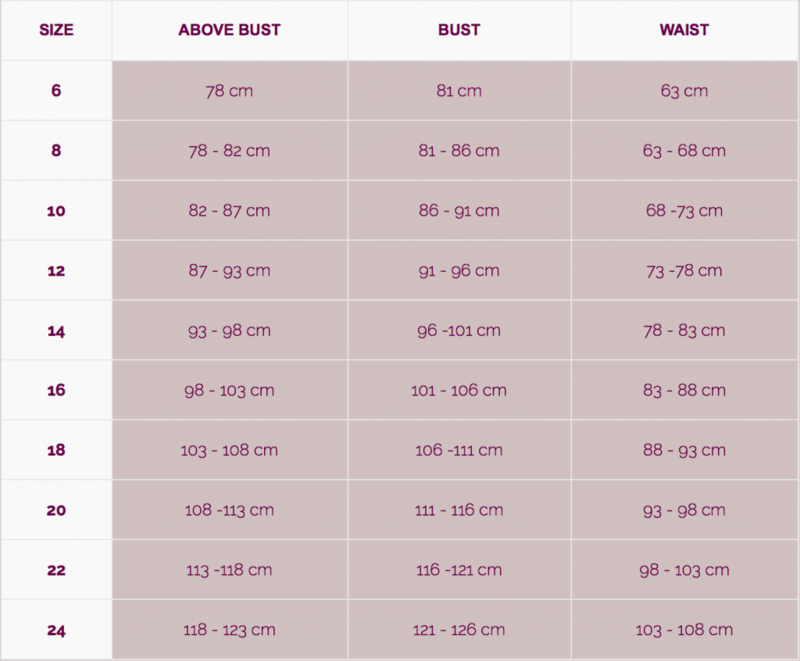 ABOVE BUST, BUST and WAIST are measurements related to GOWNS, OVERLAYS and SKIRTS, while UPPER ARM and FOREARM are specific for ARM SLEEVES LENGTH. 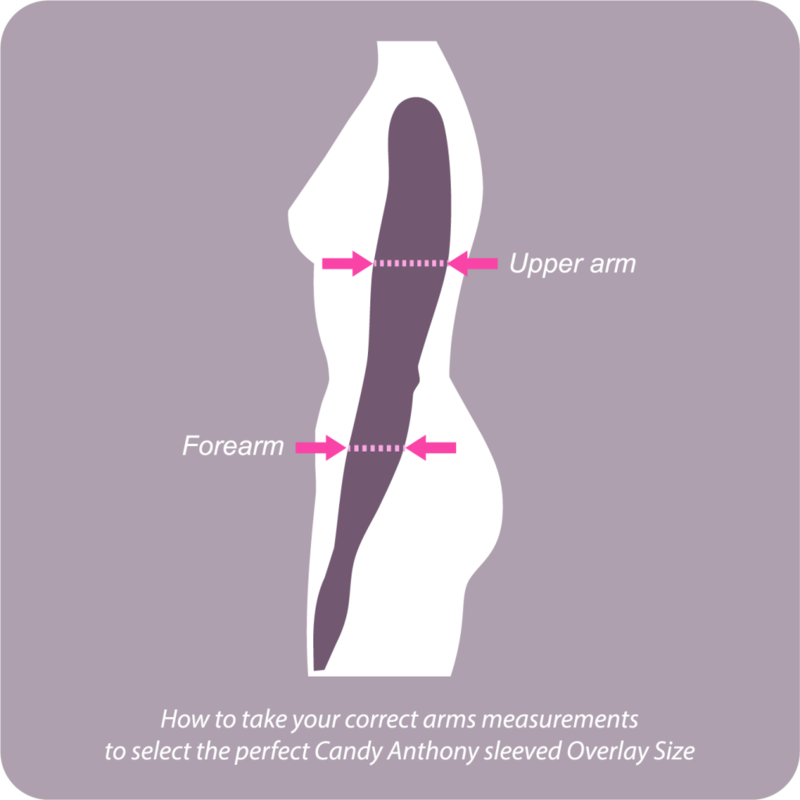 Once you have taken your exact body measurements, you can refer to our SIZE CHART below to find the Candy Anthony product size closest to you.
! 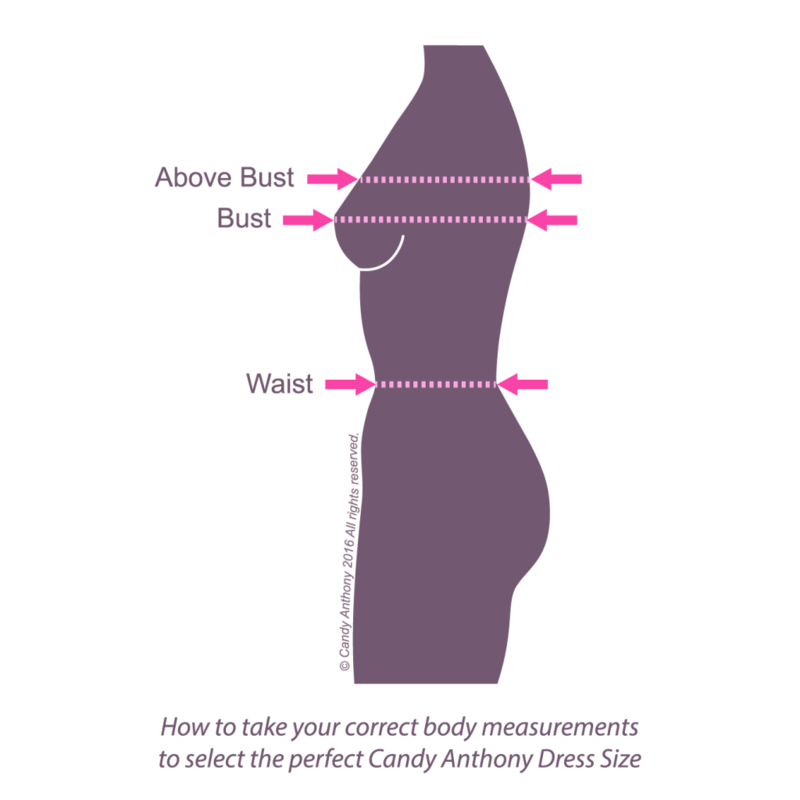 In order to be as accurate as possible, we strongly recommend to have your measurements taken by a professional local seamstress or tailor.
! IMPORTANT. Measurements for 3/4 Sleeve Overlays need to be extremely accurate. 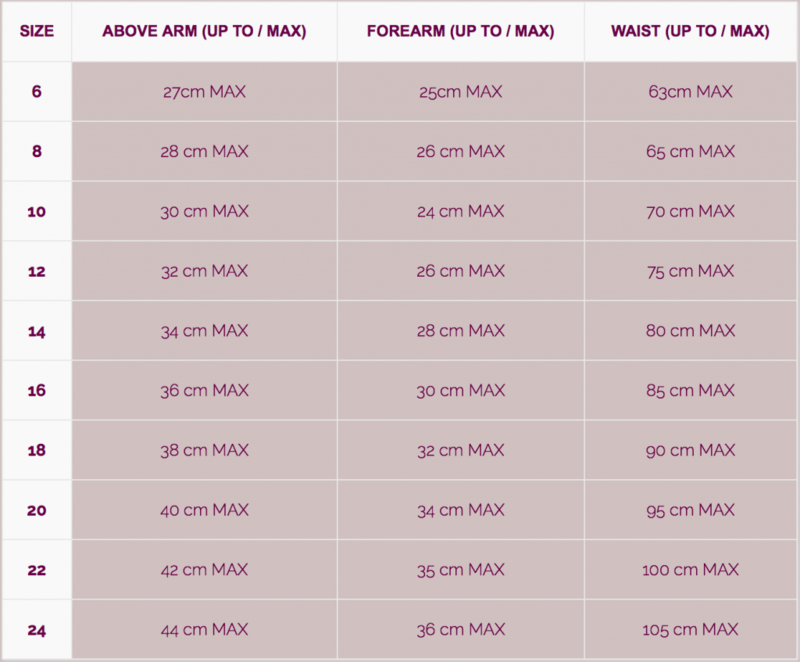 You must take the maximum circumference of ABOVE ARM, FOREARM and WAIST.